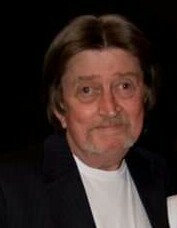 Stephen Randall "Steve" Fields, 69, of Huntsville, Alabama, passed away on Monday. He was preceded in death by his parents, Ernest W. Fields & Ozella Fields, His brother, Ernest Doyle Fields, and his sister, Carolyn Seals Bruder. Surviving family members include his daughter, Stepheny Gregory; Brother, Danny Fields; Sisters: Debbie Irons and Barbara Schllaht Fields-Grant; 3 Grandsons: Erik Goree, Joshua Goree, and Hayden Nendel; Niece, Kelly Smith; Niece, Sarah Fields; Nephew, Jeff Grant; Niece, Sharon Grant Stephenson; Nephew, Eddie Fields; Nephew, Josh Seals. A Celebration of Life service will be held on Sunday at 3pm at Hazel Green Funeral Home with Pastor Lon Ostrzycki officiating.